One young Scotsman’s dauntless walk across Afghanistan — at peril from bandits, wolves, dysentery, snow-blindness and Taliban thugs with Kalashnikovs — makes a crackling fine and best-selling adventure. But that can’t be the only reason Rory Stewart’s account of The Places In Between is the gift book and assigned reading for all incoming students at Brown University (also at Brandeis University and doubtless other campuses) in this war-rattled presidential campaign season of 2008. Some wise spirit of the moment in America seems to have designated Rory Stewart as the poster hero for something we long for, or something we’re trying to learn. And it became the up-front business of my conversation with the author to nail that something: not simply why the book enthralls, but why the committees of deans want us to search its meanings. My message is not actually a very attractive one. It’s not one that resonates a great deal. Essentially what I’m trying to say is that we need to focus on what we can do rather than on what we want to do, and that’s psychologically quite difficult. The situation in Afghanistan, the situation in Iraq — these are intolerable situations. These are situations where people want to say: surely we can’t just stand by with civil war imminent — 93 percent of the world’s heroin being produced in Afghanistan, terrorists on the Pakistani border. Surely we ought to do something. And my response is: ought implies can. We don’t have a moral obligation to do what we can’t do. And that sense that you could be faced with an intolerable situation, whether it’s in your personal life, an illness maybe, or whether in public policy, which you can’t do anything about is something people really don’t want to take on. People prefer to pretend they can do something, or just do anything rather than admit that there’s nothing they can do. 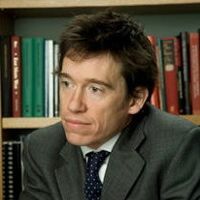 Rory Stewart in conversation with Chris Lydon, August 27, 2008. So what of the lure and excitement of this book, The Places In Between? Is it about the sheer bravery of a wiry but slight, unarmed, no-tech civilian extending his curiosity and goodwill across real mountains to The Other? Is it the example of the old-fashioned visitor who shows up, as Kipling’s Kim or the real T. E. Lawrence once did, with a gift for languages and a respectful store of cultural lore? In the blind pit of unending Western wars in Afghanistan and Iraq, can Rory Stewart be taken to demonstrate a radically different way to engage, and still to prevail? I saw three more check posts over the next twenty kilometers… The commander announced he was driving me to the headquarters in Bamiyan — fifteen kilometers back down the road I had been walking on for three hours — for further questioning. Despite having resolved only three hours earlier never to defy a policeman again, I lost my patience. “No, I refuse,” I replied. “I am a guest. I am a close friend of the governor. I stayed in his guesthouse. He has given me permission.” None of this was true. I walked on ignoring the angry shouts behind me, and to my relief no footsteps followed and the shouts faded. I turned up a narrow gorge toward the snow peaks, and saw no one for four hours. Rory Stewart, The Places In Between, pages 267 – 269. 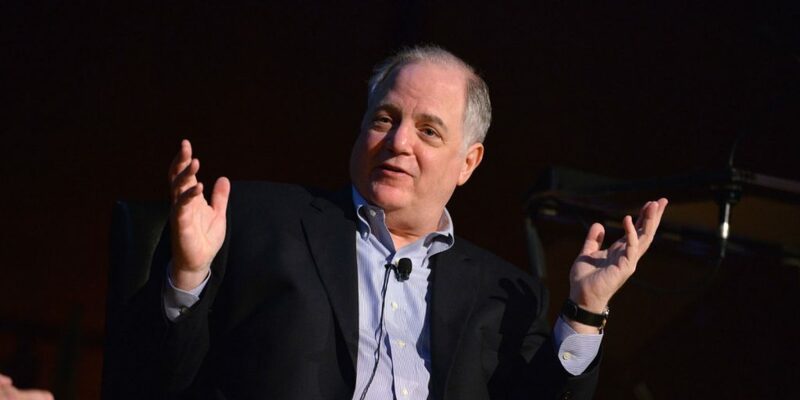 I think at the time I wrote the book, I imagined that if you planned better, if you knew more, if you cared more, it would be possible to do better — that the failures in Bosnia and Kosovo and Afghanistan and Indonesia that I’d seen were due to amateurism; they were due to lack of planning, lack of structure, lack of strategy, lack of commitment. But I then moved from Afghanistan to Iraq. And in Iraq I saw failure on such a monumental scale that I changed my view. I no longer believe that the problem is lack of professionalism. I believe these projects are intrinsically impossible. The problem is not simply that we don’t have imperial officers anymore, or that that we don’t create the culture wherein they could flourish. But that even if we had the context and the individuals, they too would fail. Because the growth of nationalism, of Islam, the potential for resistance, the voices of people in Iraq and Afghanistan, their capacity to disrupt these kinds of projects, are now such that even were you to transplant some Macedonian general of Alexander the Great and try to put him in charge with sway over Afghanistan — with all the charm, dynamism, charisma and savagery that that would entail– he would still fail… I changed my mind because of Iraq. I asked him too directly perhaps: You’ve become a poster hero, Rory Stewart, but for what? For a recovered humility, he said. For an American self-examination, I think, that runs against the grain of The Places In Between and of the presidential campaign conversation that will be at a climax when we meet Rory Stewart again at Brown. To commenters, please: what is it we’ll really want to ask him, and ourselves, in October? June 30, 2010 William Dalrymple: the Af-Pak Fiasco "on its last legs"